Divide the goat’s cheese and roll into walnut-size balls. Continue until all the cheese has gone. Place on to plastic wrap and refrigerate for 15 minutes. In a medium-size pot, heat 4cm of oil. 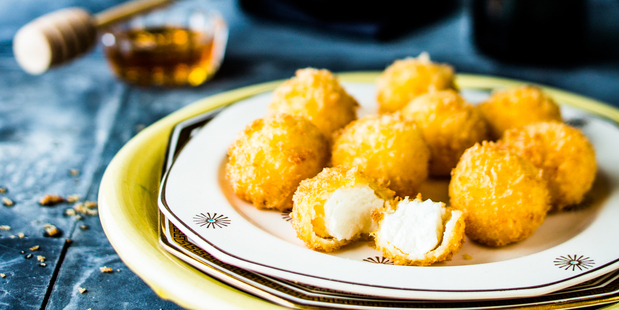 Drop a crumb into the oil to test if it is hot enough for your goat’s cheese balls. If it turns brown in 20 seconds you are ready to go. Serve on a platter with a generous drizzle of Manuka Honey.